Unconditional love with the ultimate flair of luxury in glimmering luscious blossoms in pure white to symbolize that memorable delicate occasion. 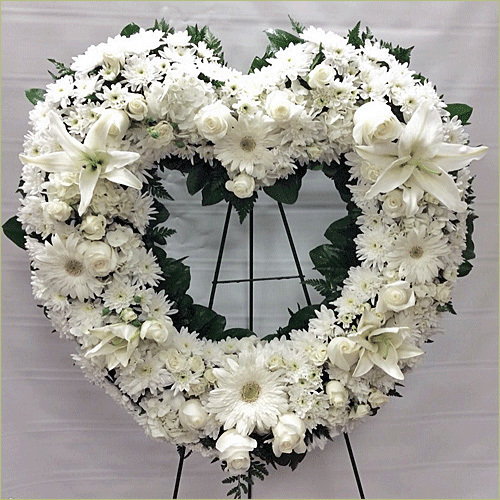 Standard Heart includes 30 stems. Deluxe Heart includes 40 stems. Premium Heart includes 50 stems.